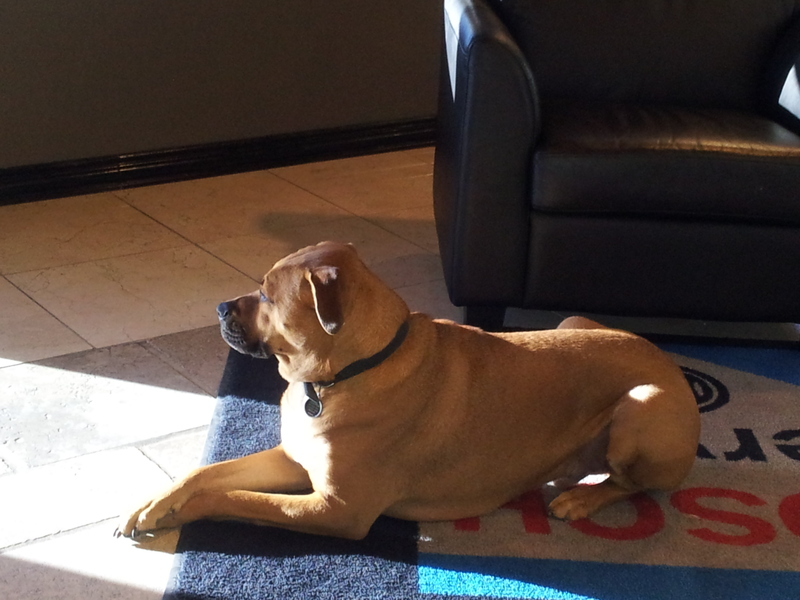 I love basking in the warm rays of sun that shins through the front door of our shop. Woof! While the sun is a wonderful thing and very pleasing while sitting inside, it can be menacing to your high-end auto. Woof! Daddy says that the sun does not like cars and it can cause damage to the paint . So what are people suppose to do to protect their car? Woof! Daddy says that people should park indoors if possible, use a good car cover, and more importantly they should use a good wax protection. If you are concerned about your car’s paint, check with us next time you’re in the shop. We can suggest a good Griot’s Garage product that is just right. Woof! Daddy also says that if your car paint is already damaged, we can recommend our paint and body guy, Paint by Steve’s, who does a wonderful job! I will make sure your car is taken care of if you come see me at Lone Star Bavarian! « Do you mind, I am trying to sleep?